Do you experience recurring tension headaches? What about ongoing neck or back pain? Now, here’s the kicker — do you have pain that shoots down your legs or recurring tingling or numbness? All of these different issues have one thing in common: given the underlying causes, the best bet for a long-term solution and proper healing is likely to be chiropractic treatments. Chiropractic care is all about the health of your spine, joints, and nervous system and how those systems impact your body’s ability to function. The body processes pain by way of the central nervous system, and bones and joints are — quite literally — the core of our physical makeup. What this means is alignment problems in your lower back or pelvic bones may be causing muscles to press against your sciatic nerve, and that’s what creates the pain, numbness, or tingling feelings shooting down your legs. Likewise, if bones in your spine come out of alignment, they can create uneven pressure, which may lead to a bulging disc or even a herniated disc. If you experience back pain that just won’t heal, this may be the underlying cause. And yes, joint or spine alignment issues can even cause those recurring tension headaches you can’t seem to get rid of. Chiropractors go through extensive schooling and training to learn ways to correct those alignment issues naturally and safely. We will use techniques like stretching, massage, and chiropractic adjustments to help your joints return to proper alignment. Chiropractors are also concerned with the ongoing well-being of your joints, spine, and nervous system. The initial focus of chiropractic care is pain relief and alignment to help your body heal; after that, we focus on building strength to help prevent the problem from returning. Ultimately, chiropractic care focuses on whole-body function and well-being rather than treating just the area that hurts. Because chiropractic care is a natural way of treating pain and helping the body heal, there really isn’t much that chiropractic care can’t help with. Chiropractic adjustments are even gentle enough for pregnant women and children at any age — yes, even infants! And actually, a chiropractic adjustment can be a good idea for both mother and baby to help aid in better recovery after childbirth. This should be a no-brainer. Chiropractors focus heavily on spine alignment and nervous system well-being, two of the major concerns when it comes to neck and back pain. Often, adjustments and spinal decompression can go a long way toward providing pain relief and, ultimately, healing. When you get a headache, what’s your first course of action? For many, the answer is to take a couple of over-the-counter pain pills and drink a glass of water. Sure, doing so relieves your pain temporarily, but pain meds aren’t actually going to do much of anything to heal the underlying cause. Chiropractic techniques can provide more lasting relief for migraines and tension headaches and can help reduce the occurrence over time. It may seem disconnected, but spinal misalignment can actually contribute to symptoms of carpal tunnel syndrome. See what we mean about the interconnectivity of the body? Fortunately, adjustments can help realign your spine to reduce pain and stop the feelings from recurring. Sciatica is commonly caused when tight muscles or problems with bone alignment in your pelvis and lower spine press up against your sciatic nerves. Because the issue is something pressing directly against a major nerve, the result is often low-back pain, but it can also cause pain, numbness, and tingling that extends down the legs. Stretching and chiropractic adjustments can relieve that pressure, then your chiropractor can offer strength-building exercises to help prevent further sciatica pain. One of the primary markers of fibromyalgia is muscle pain, while arthritis deals in joint pain and stiffness. For both maladies, chiropractic adjustments can provide pain relief that is otherwise found in medication. Chiropractic adjustments, stretches, and manipulations can help relieve pressure on joints, improve alignment, and otherwise reduce strain on muscles and joints to provide relief naturally. A less-than-stellar mattress can not only leave you tossing and turning at night, it can affect your posture, cause headaches, and lead to joint alignment problems. As you probably imagine, chiropractic care can alleviate those symptoms — though you may want to get a new mattress, too. In addition, chiropractic adjustments can also help relax tight muscles in your neck and shoulders and help you breathe easier. If you have sleep apnea, this can be a good natural way to sleep better. The body shifts a lot throughout pregnancy to accommodate your growing baby. On top of that, the added weight puts a lot of strain on your pelvis and spine. All of that adds up to the discomfort and pain you feel. Fortunately, chiropractic adjustments are gentle and safe enough to realign joints appropriately. Prenatal chiropractic care can even help build strength that will help during delivery, then help you recover afterward. At Core Chiropractic + Wellness, we also use the Webster Technique to help breech pregnancies naturally. Automotive accidents are one of the major causes of ongoing neck and back pain. Even if the impact doesn’t seem that bad, the jolting can cause alignment issues that can plague you for months or years afterward. Chiropractic adjustments and manipulations can help soothe those alignment issues, often without invasive surgery. However, if you’ve already had surgery and continue to experience pain, talk to your chiropractor about natural pain relief options. Your body works hard day-in and day-out to do all those things you ask it to. Sometimes, when you push a bit too hard or twist the wrong way, a joint may come out of proper alignment. This is something that can happen during strenuous athletic activity, but can just as easily happen when doing the laundry or pulling a heavy dish out of the oven. Often, alignment issues can be mild enough that you may not notice it. But, over time, that poorly aligned joint can put pressure on the muscles, ligaments, and tendons that support it. The additional pressure on supporting soft tissue can cause a variety of issues including tears, strained muscles, and nerve pain. 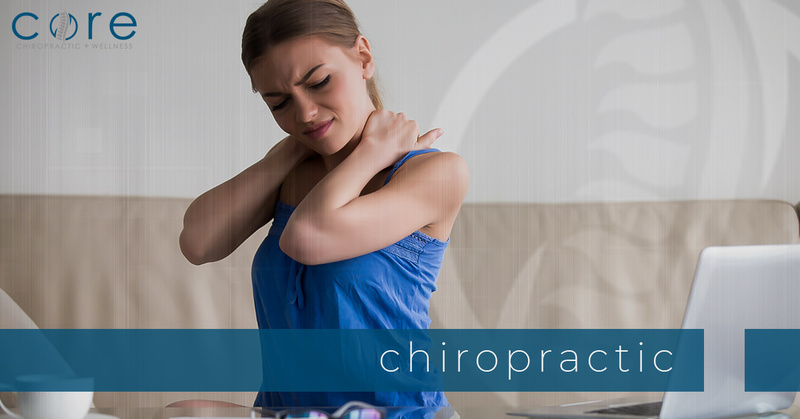 During your initial visit, your chiropractor will start with a comprehensive discussion of your pain and your medical history — and provide pain relief options as needed. Chiropractic care focuses on the body’s function as a whole because so many of our body’s systems are deeply interconnected. It’s important to be as thorough as you can when answering questions and describing what your pain feels like, as this will give your chiropractor a better sense of what’s going on in your body and how to best treat you. Chiropractic care is very individualized. What works well for one patient may not be what another needs, and chiropractors take this into consideration when developing a treatment plan. At Bakersfield’s Core Chiropractic + Wellness, our focus is what your body needs rather than rote treatment. In addition to discussing what’s going on with your body and your medical history, we will take x-rays — but only when necessary. From there, your chiropractor will discuss what’s going on to cause your pain and what the proposed treatment plan is. A single session with a chiropractor may help relieve pain, but it may or may not be enough to help your injury heal. Multiple sessions may be recommended to help you build up strength around the injured area; this will help lessen your pain and work to prevent the problem from returning in the future. However, at Core Chiropractic + Wellness here in Bakersfield, we don’t hard sell lengthy treatment plans. Our aim is to create the treatment plan that is right for your individual needs. Feel free to ask questions and discuss options with your chiropractor before beginning treatment and at any point going forward. No, you don’t! However, there are a couple of caveats. First, if you’re seeing other medical professionals, it may be beneficial to share records of your other treatments with your chiropractor. This will allow us to provide a better, more personalized treatment plan. Second, some health insurance plans may require a referral in order to provide coverage for chiropractic care. Contact your health insurance provider to learn more. 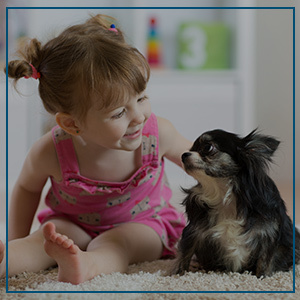 Can my child get a chiropractic adjustment? Absolutely! Chiropractic adjustments and manipulations are gentle enough for children at any age — even infants. In fact, occasional chiropractic adjustments can help ensure that growth spurts don’t negatively affect your child’s bone or joint alignment. Adjustments are also a good idea for children/teens participating in athletics, for both injury recovery and to help prevent certain sports-related injuries. Generally, yes, most health insurance providers will offer coverage for chiropractic treatments — including most worker’s compensation, Medicare, and Medicaid plans. Core Chiropractic + Wellness is an in-network chiropractic care provider with most major carriers. If you have questions about a specific provider or treatment coverage, give us a call. Keep in mind that coverage can be different from one provider to the next and some treatments may require a referral or prior approval by your insurance provider. So, if you have questions about specific treatment coverage, it’s a good idea to check with your insurance provider. I heard a “popping” noise during an adjustment. Is that bad? No, that “popping” noise you heard isn’t something to worry about. Small gas bubbles collect between joints. Adjustment or manipulation of a joint may release that gas bubble; the release of pressure is what causes the “popping” sound you hear. It’s the same sort of thing that happens when you crack your knuckles. Do I really need ongoing adjustments? It depends. Each body is different, which means that different individuals have different chiropractic needs. Your chiropractor will discuss your particular needs and tailor a treatment plan accordingly. You may only need one or two adjustments, or an ongoing regimen may be beneficial for more lasting healing. At Core Chiropractic + Wellness, we focus on what your individual needs are, not on hard-selling a certain amount of sessions. Can I combine chiropractic care with other treatments? Absolutely, yes. Chiropractic adjustments and manipulations are both natural and gentle, so they can easily be combined with other treatments. In particular, massage therapy, physiotherapy, and acupuncture often help supplement the benefits of chiropractic care. Of course, your chiropractor will want to tailor treatments to what’s going on with your body. Be sure to discuss any other medical treatments you may be receiving so your chiropractor can adjust your treatment plan accordingly. Core Chiropractic + Wellness is Bakersfield’s premier center for chiropractic health. We take an individualized approach to chiropractic care, and we are dedicated to providing our patients with the highest-quality treatment available in Bakersfield. In fact, Dr. Christopher Berry, has even been voted “Best or Favorite Bakersfield Chiropractor” for the past 7 years running. So whether you are looking to improve your overall health and wellness or to prevent future injuries and health problems, you can rest assured that you are receiving the finest chiropractic care in Bakersfield. How are we different from other Bakersfield Chiropractors? At Core Chiropractic + Wellness, you will never receive “cookie-cutter” chiropractic treatment. Dr. Berry takes the time to listen to the unique situation of each and every patient, and then custom tailors a treatment plan specific to that patient’s needs and goals. If you are still unsure if we are the right fit for your specific condition or needs, then we invite you come visit our office for a Free Consultation. 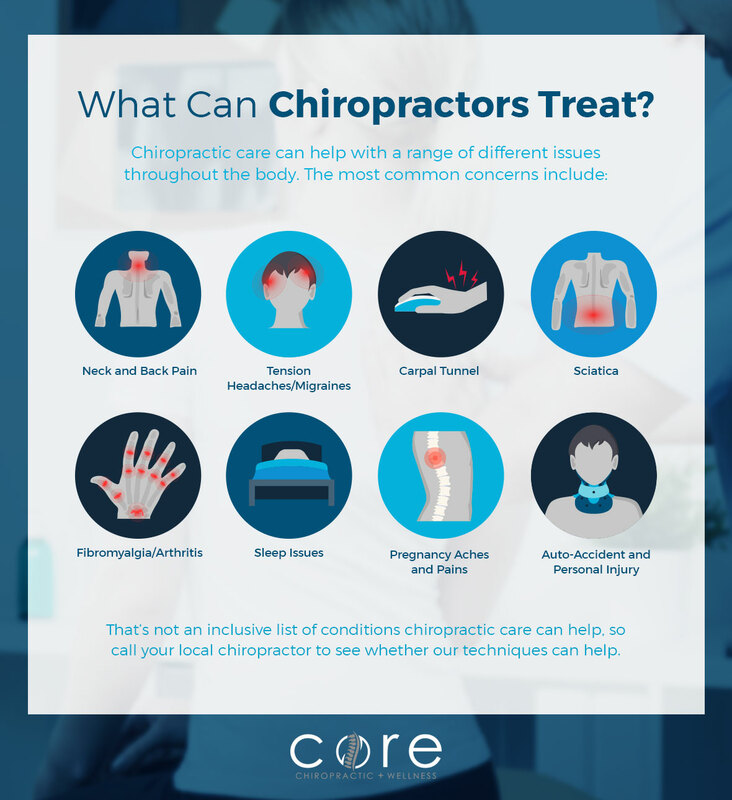 During your no risk, no obligation visit, we will discuss your condition and try to determine if our gentle, chiropractic care can benefit you. You will also get to meet our doctors and staff, take a tour of our facility and have all of your questions personally answered by Dr. Berry. By the end of your visit, you should be able to make an educated decision as to whether we are the best choice for you. To schedule your free consultation, just give us a call at (661) 410-9355 or fill out the form below. If you are new to chiropractic and would like some basic questions answered about how a Bakersfield chiropractor could benefit you, then don’t hesitate to contact us. We’d love to answer any questions you may have.